What an amazing month September has turned out to be! 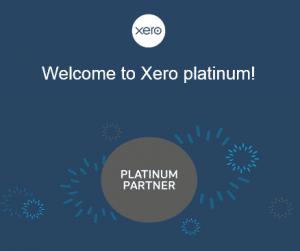 Not only did we win the prestigious award for Xero’s NZ Bookkeeper of the Year, just earlier this week we became New Zealand’s first Bookkeeping practice to become a Platinum Xero Partner. How amazing is that! We started our journey and partnership with Xero over 7 years ago and it was the best decision for our business. It opened up doors to provide more opportunities and solutions for our clients. Fast forward 7 years and we did it! We made it to our goal – which was reaching the PLATINUM Partner status. Gone are the days of Accounting practices only talking to their clients once a year, and gone are the days of Accountants being reactive vs proactive. Business owners need an Accountant who will take the time to understand you and your business. GoFi8ure is changing the way Accountants work with their clients for the better. We call this change the LEAR approach. LEAR stands for Listen, Educate, Advise, and Resolve. Listen – We actively listen to you. We listen to your concerns, frustrations and worries. We also listen to your ideas, your goals and your dreams. Educate – Not everyone went into business because they were great at numbers or with money. We educate and provide information, tips and tools for our clients so they are enabled in their business. Ask– We ask questions. They may not always be the questions you want to answer but we ask the questions that need to be asked. We want to know everything about our clients and their businesses and the best way we can do this is to ask. Resolve – Our team of experienced Accountants and Bookkeepers work together to provide you with a solution specifically designed for your situation. You are not in this alone and you should not feel like you are. The right Accountant will work alongside you and support you each step of the way. If you would like to improve your business performance and financial results but do not currently feel supported by your current Accountant to achieve this, please get in touch. Interested in knowing more about our advisory services? You can check out our Xero Advisor profile by clicking here.